I don’t know about you, but I’ve always got my eye out for new brands on the fashion front around this time of year. It might be something to do with the post-Christmas happiness slump or the fact that the sales are coming to an end and there’s nothing bright and shiny and new to be seen quite yet. Not that I’m advocating fast fashion these days, but there’s something super appealing about discovering a new brand and appreciating its aesthetic even in no-spend January. So this week I thought I’d talk you through 5 Scandi brands which have been on my radar for the last few seasons. Scandi fashion has been having a bit of a moment of late. 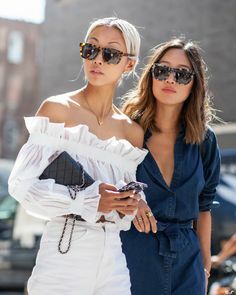 Whether it’s the IT girls perched front row at Copenhagen Fashion Week oozing quirky I-just-woke-up-like-this style which I’ve been drooling over the past few seasons, or my Pinterest boards chock full of mohair knits over maxi dresses which kind of epitomizes the look right now. Scandi brands allow you to practice uber cool minimal or allow you to spread your wings a bit and pile into mixed prints and offbeat texture mash ups… whichever style camp you’re in there’s something here for everyone. So for starters, there’s Ganni – you may well have seen this all over your fave influencers on Insta of late. It’s a great mix of cool girl meets Danish insouciance. 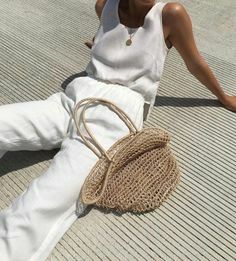 I love their oversized knits paired with floral maxis, but they are also nailing minimalism this season with loads of neat silhouettes and funky separates which will see you right through to the summer months and beyond. Next up I’m loving Stine Goya who I came across a few summers ago when I snaffled up this dress but took to wearing it as a kaftan over jeans as it didn’t quite do up around the old meno tum. This brand is all about playful and colourful prints – some seasons I find them a winner and others a little too scary for my liking, but pop them on your hit list. 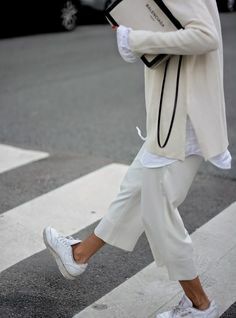 For more of a classic Scandi paired back look keep an eye out for Designers Remix. Designer Charlotte Eskildsen has a beautiful way of mixing up sharp tailoring with flowy feminine contrasts making her designs an easy yet elegant vibe to add to your wardrobe this season. The next Scandi brand which caught my eye just last season is Baum Und Pfergarten – not easy to say or spell but super easy to wear! I love this label for their playful prints but also their beautifully considered designs and super luxe quality. They certainly know how to design fun fashion and it’s perfectly on trend for this upcoming season. My final fave is Filippa K for a classic minimalist take on the Scandi vibe. Think uncomplicated, modern and effortless to wear – what more could a gal want when she falls out of bed in the morning? You could start your classic capsule closet from just this brand, or cherry pick some luxe pieces to pepper around your current outfit armoury. One of the best places to find Scandi style done well is via Pinterest – pop over to check out some of the style inspo I’ve been pinning this week. 5 Scandi Brands To Try This Season… Where to Shop. Luckily for us, High Street buyers have become wise to the joys of a good Scandi label which means we can snap up some gorgeous pieces without breaking the bank. Check out the John Lewis or the Debenhams edit here. I love Arket as well as & Other Stories for super affordable Scandi style. Then there are the fashion-forward luxury stores like Selfridges and Liberty who’ve been championing Scandi brands for some time – so expect to see more high-end quirky collections here. Finally smaller independent boutiques with great owners who know a thing or two about on-trend buys have some brilliant edits. Try Quattro Rish in Reigate (where I snapped up the Baum Und Pferdgarten dress from), Black White Denim in Cheshire, or The Dressing Room in St Albans for starters. Below are also some of my fave pieces for the season ahead – click the images to shop. #AffiliateLinks used. Next Post Spring stripes for the new season.